I know almost nothing about mushrooms. Mostly, I categorize mushrooms into food/not food groups. I love eating mushrooms, but that’s about as far as I care about them. There is one mushroom that is really awesome though. And I found some on the stead. I’m talking about the puffball. When mature, these things shoot out spores like smoke whenever they’re bumped. I found a youtube channel that shows this. So I was really excited to see these little balls on the ground. They came up a week or two after we had a week of heavy rains. Puffballs are edible before they start making spores inside btw. 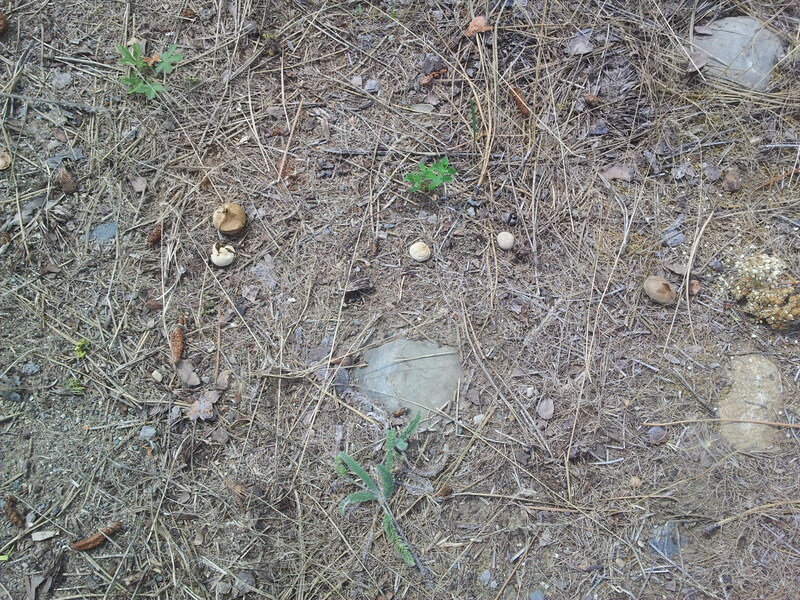 This entry was posted in Plants, Shrubs and Trees and tagged mushroom, puffball by admin. Bookmark the permalink.